I have, at times, been guilty of putting my head in the sand — but not when it comes to publishing! When I queried my novel I counted every rejection, every helpful hint, and every nibble. I did not want to miss a thing. Author Terri Bruce also was keenly aware of her rejections – but she put them to work for her, making her more determined to find a home for her novel. And she did. 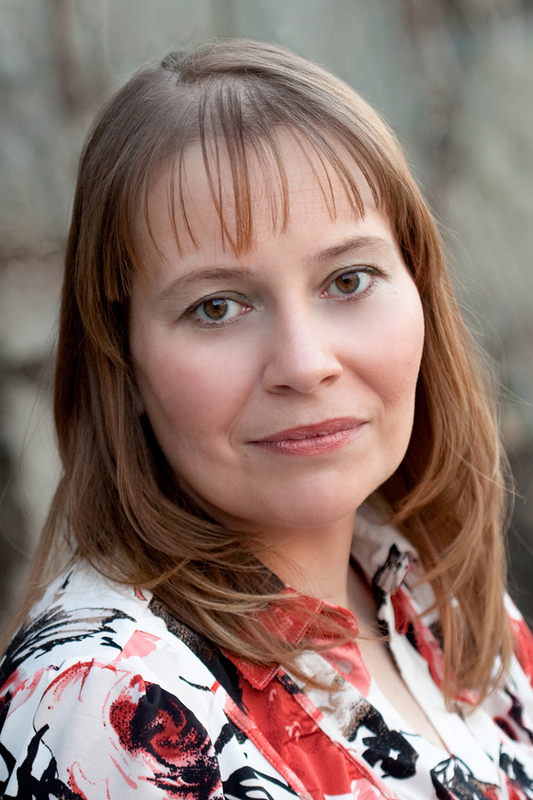 Please welcome Terri Bruce to Women’s Fiction Writers! Nine years later, I finished that story. In between, I battled Lupus, bought a house, changed jobs twice, and joined a local writers’ group with the intention of getting serious about writing. It was hard, during those years, to find the time to write—there was too much “life” getting in the way. The writers’ group was definitely the saving grace for me; while there were times I submitted less than a page for critique, the accountability of being in a group ensured that I kept writing and moving forward, even if it was an inch at a time. When I finally finished that manuscript, I cried with joy. It was the first full-length novel that I had really poured myself into, and I had proven (to myself) that I could take the time to craft a comprehensive plot, build realistic characters, and polish a raw first draft into something ready to submit for publication. I pitched that story live to an editor at a writing conference and I queried it to about twenty agents and publishers, but alas, I very quickly realized the story fell into the “experimental fiction” realm, for which there is a very small market. I decided to “trunk” that manuscript, as I was already nearly finished with another story, one that I was sure was much more “commercial” in nature—it was the story of a directionless thirty-something woman who has to struggle with the fallout from her life choices when she dies and finds herself stuck on earth as a ghost. This story, eventually called Hereafter, “only” took two years to write, so I was feeling pretty good when I began sending query letters. So I revised the query letter. I revised the opening chapter. I revised my list of prospective agents—widening the search. I began querying small presses as well as agents. Amy’s definition of Women’s Fiction is a story in which the main point of the book is for the woman to improve herself, her situation, her life, her relationships and the focus is on internal growth of self, [and] the most important part of the book is not about moving toward romance. THIS is the story I had written; THIS is the story I wanted to tell. Interestingly enough, though, I didn’t consider Hereafter Women’s Fiction at first—Women’s Fiction was serious stuff, written by literary greats! Plus, my story was clearly paranormal—it had a ghost!—or maybe Fantasy Lit—it had humor! However, two things quickly became apparent: 1) without a romance element, Hereafter wasn’t Fantasy Lit, and 2) those that read the manuscript felt that the story, in terms of emotional weight, was much more on the Women’s Fiction end of the spectrum than the Chick Lit. Looking once more at Amy’s definition, I realized that, yes, I had actually written Women’s Fiction. My family didn’t understand why I didn’t stop sending queries. My husband encouraged me to “try again”—to write a different story, one that more easily fit into one genre. However, I believed in Hereafter. It was a good story, I was sure of it. I managed to rack up 84 rejections before I got my first request for the full manuscript—which also ended in rejection. I began to feel like I was playing that Cliffhangers game on the Price is Right—I “only” had 120 prospects on my list. Would Hereafter get picked up by an agent or publisher before I ran out of places to submit it to? My friends and family, though horrified in that “watching a train wreck” kind of way by my tally posts, kept my spirits up with “their loss” kinds of comments (though in much saltier language). Other writers going through the same trial by fire were astounded by my tenacity. 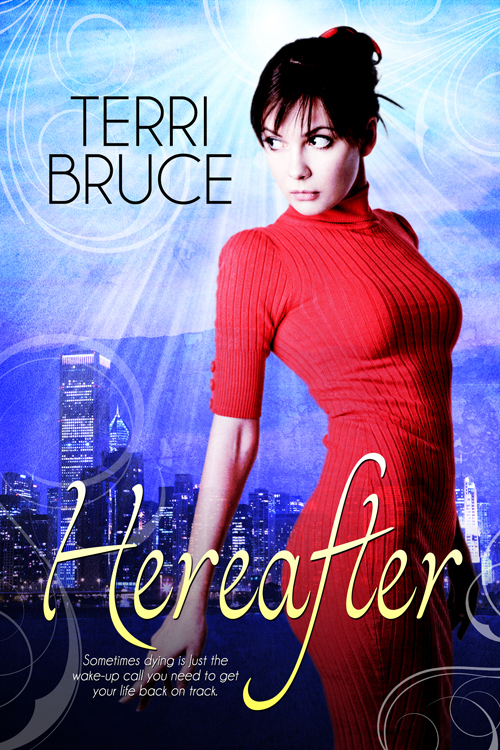 Most gave up long before I did, opting to return to the drawing board and write another novel, with the hopes that the next one would be “the one.” I, too, was working on another novel; unfortunately, it was a sequel to Hereafter. If Hereafter didn’t get picked up, then I had just put more eggs in a losing basket. I wish I could say I kept going because I believed in myself so strongly. However, the truth is, at this point, there didn’t seem to be any reason why I wouldn’t just keep submitting to the rest of the names on my list—there really weren’t that many left. My lucky number turned out to be 92—the 92nd response (after 8 solid months of querying) was an acceptance by a small press. Responses 93 and 94 also happened to be acceptances, by two other small presses, putting me in the happy situation of getting to choose between three offers. After I signed the contract with Eternal Press, I received several belated rejections, bringing my final tally to 112 rejections. I look at that number now and part of me thinks, “Holy cow! How did I keep going?” and the other part thinks, “Pffttt! That’s not really a lot in the grand scheme of things—many people get even more rejections than that.” The take-aways from all of this, for me, are that tenacity is key to getting published, and agent/publisher rejection often has very little to do with a writer’s talent and more about personal taste and ease with which they can slot your book into a particular market. The more I hear about other authors’ long paths to publication, though, the more I think that, perhaps, perseverance alone is the dividing line between success and failure in this industry. As the saying goes: never give up! Never give up! Never give up! Terri Bruce has been making up adventure stories for as long as she can remember and won her first writing award when she was twelve. Like Anne Shirley, she prefers to make people cry rather than laugh, but is happy if she can do either. She produces fantasy and adventure stories from a haunted house in New England where she lives with her husband and three cats. Amazing story, Terri! Well done for believing in yourself and for keeping going. Your story is a cautionary tale for all of us aspiring writers (and I have been in the ‘one inch at the time’ category for far too long). Sometimes it’s just so hard to do more than inch! But I guess the lesson is any forward movement is better than none, right? Congratulations! My magic # was 125! A few weeks ago I signed with Frances Black at Literary Counsel. Thanks Terri! I have a writing friend who had queried 12 agents and wants to quit. I convinced her 12 was nothing! Hopefully when my book sells Amy will feature me (insert smiley face)! Hi Kathryn and thank you! That IS amazing. I never counted mine–still don’t–but have to admit I probably would have given up if I had. Good for you! This is very inspiring to me! I’ve also been working on something that so far has defied categorization. I should have counted mine. I imagine they were right up there with yours, though multiplied by four manuscripts. I did it a tad differently. After I don’t know how many rejections from editors (I was working my way through agents, but they couldn’t even collect a request for a full from a single editor), I’d write another story. And then another. And then another. Finally, fourteen years later, two small publishers wanted two of my stories. So, all authors-in-waiting, take heart. As my present agent always says, it only takes one editor to say yes. One house to believe in your project. And Terri didn’t even have to grow as many grey hairs as I have! Terri I love your strategy! I did that when I was agent-hunting for my short story collection, a long long list with highlights where partials were requested, but then my English publisher decided he wanted that book too, after putting out my first, so I was lucky I didn’t have to go through it all again. You are one tenacious lady! thanks Amy and Terri for an inspiring interview and congratulations to Terri! Wonderfully encouraging! Thanks for sharing! What an inspirational story. I think you’re right about perseverance being the one thing that all published authors have. A truly wonderful reminder; thank you. Very inspirational, Terri. I’m not sure I would have continued after that many rejections, but knowing that it took that many for you gives hope that it really is about finding the right match for one’s work. The DJ on the morning show I listen to often says, “there is a lid for every pot.” 🙂 That’s definitely true, especially in publishing. We just have to have to hang in there until we find our match! Wow, Terri! Congratulations – and what an inspiring story. The most difficult victories are always those we savor the most. As someone just going into the querying process, I’m sure I’ll be returning to your experiences again and again (and again, again, again…) Thanks so much for sharing it with us! Hey Terry, we have the same magic number! My agent was 113, meaning I had 112 rejections or no answers (same thing, lol). While I had a lot more requests for material, I needed them to keep going, as they were spread out over an eight-year marathon of revising my novel, not an eight-month sprint! 8 years, 8 months—kind of funny that it didn’t make a difference! We both got where we needed to go with project number 2, so can’t complain, right? Will follow your progress on Twitter! Love your story of dedication and perseverance, Terri. I have a “hero/heroine list” of authors who wracked up a ton of rejections but kept on until they got published. You, dearest, just made it to the top of my list. Congrats and best wishes!